Waterfall Info: Coming from the bottom, this is the fourth waterfall on Chinquapin Branch. It's located near the top of Upper Chinquapin Falls, but it can't be seen from the base. 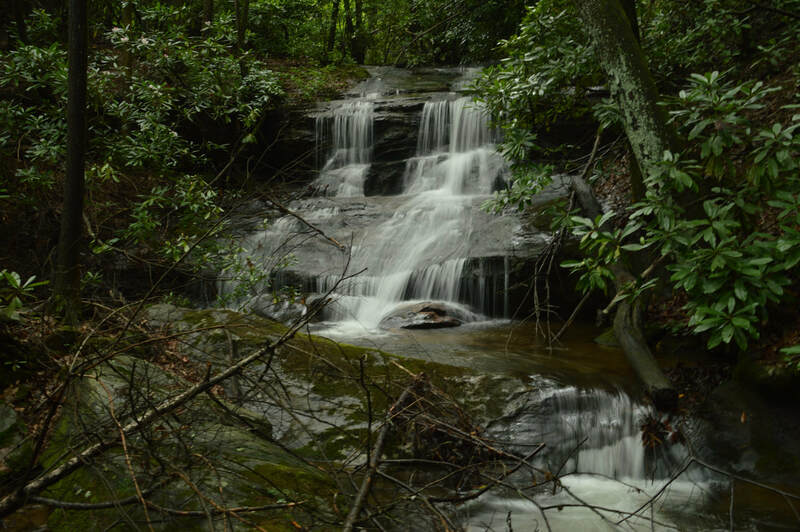 Access Info: Faint paths from Tray Mountain Road (FS 79) lead to this waterfall.